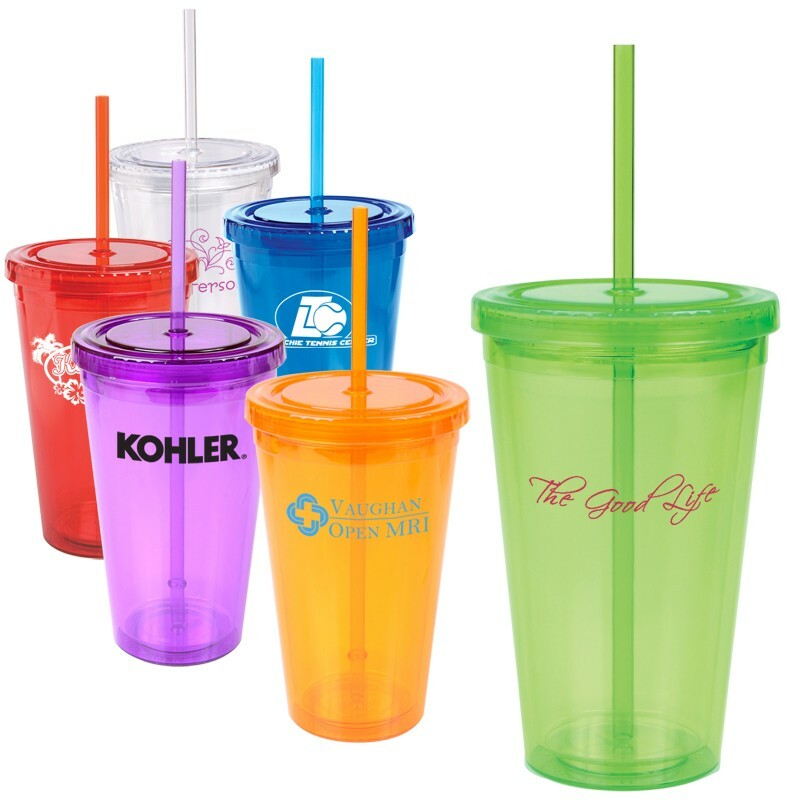 Mug GT - Tumbler - 16 oz. 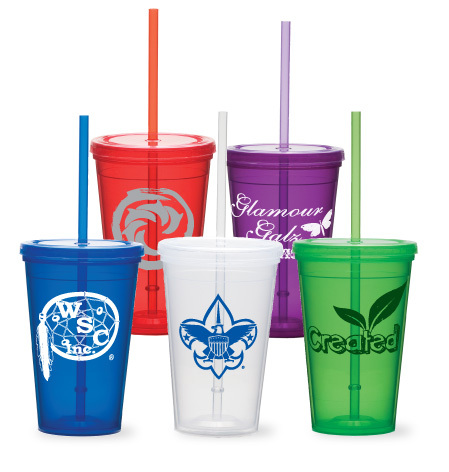 Fits Most Auto Beverage Holders with Spill Proof Slide Lid. 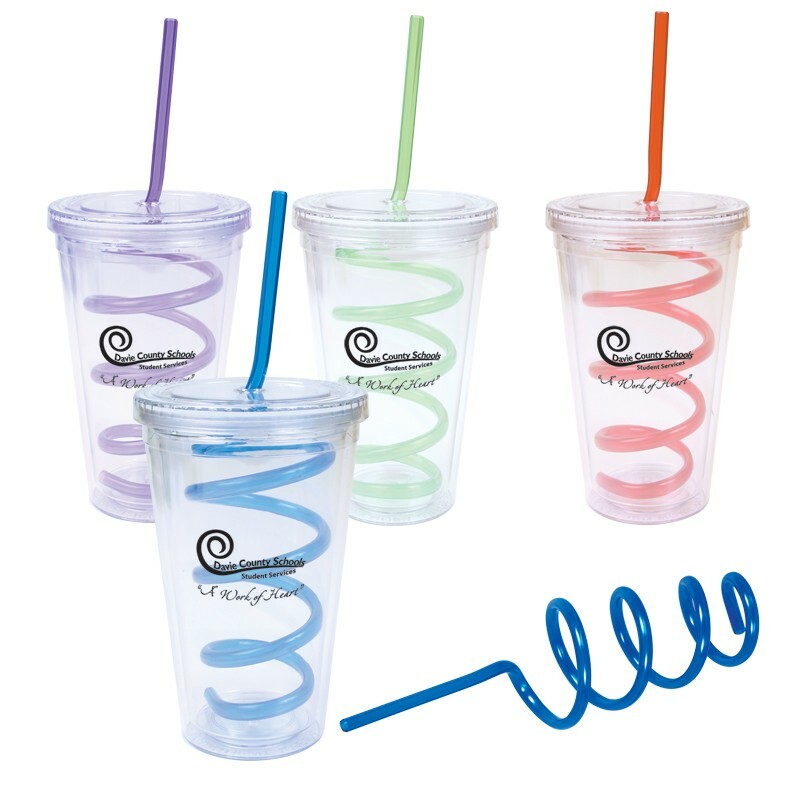 Clear acrylic tumbler with a fancy twisty straw will turn heads! What an attractive and useful way to display your customer's logo. 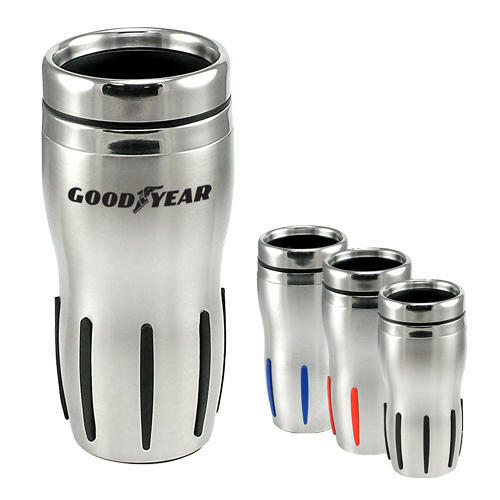 Aluminum Tumbler with rubber Line Grips. 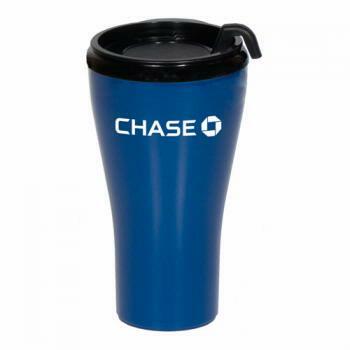 Available in Blue, Black, and Red.